What's The Craziest Scheme In All Science Fiction Or Fantasy? One reason we love speculative fiction is the crazy, out-of-control storytelling. And one of the best things about science fiction and fantasy is the wild schemes that both heroes and villains come up with. But what's the most wild, impractical scheme that anybody's ever cooked up? Please include a picture, poster, clip, book cover, comics panel or other visual representation for your wild scheme. And please mention the series it appears in, and what the scheme was about, and why it was so ridiculous. Thanks! Top image: Star Trek: The Enterprise Incident. 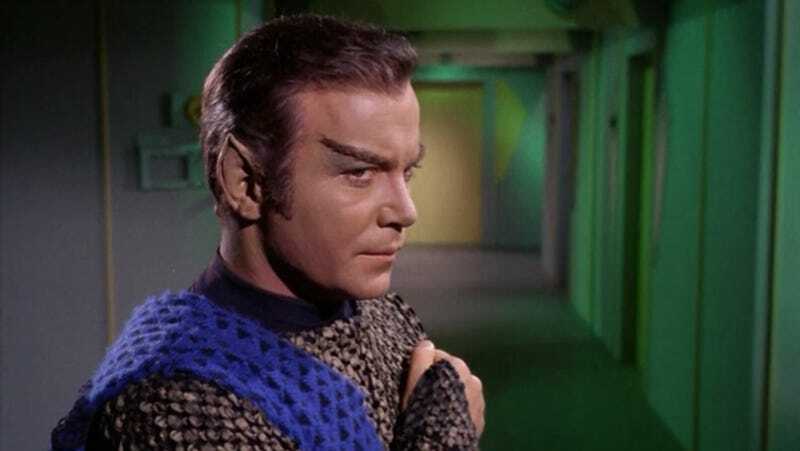 Kirk's scam involves leading the Enterprise into the Neutral Zone to get captured by Romulans, so they can try to impound the ship, while Spock seduces the ship's commander and Kirk puts on fake Romulan ears, and they can steal the cloaking device. And then... profit!